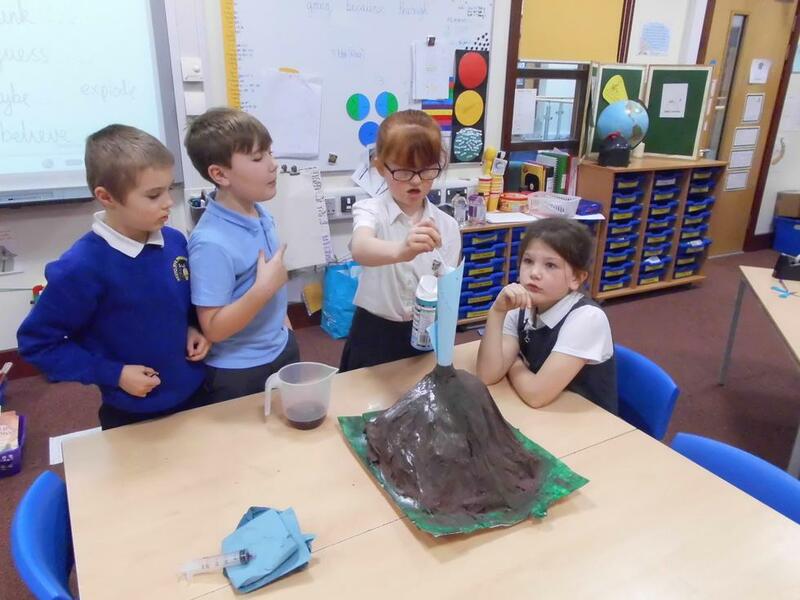 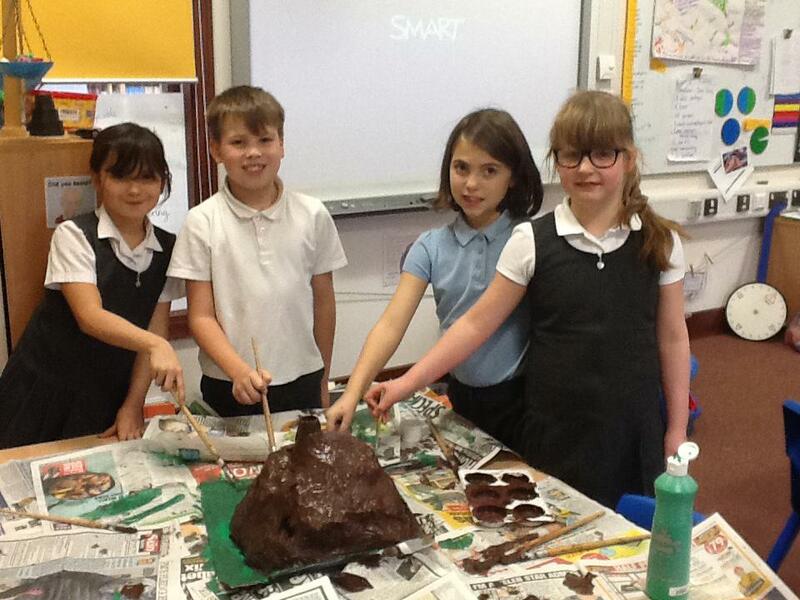 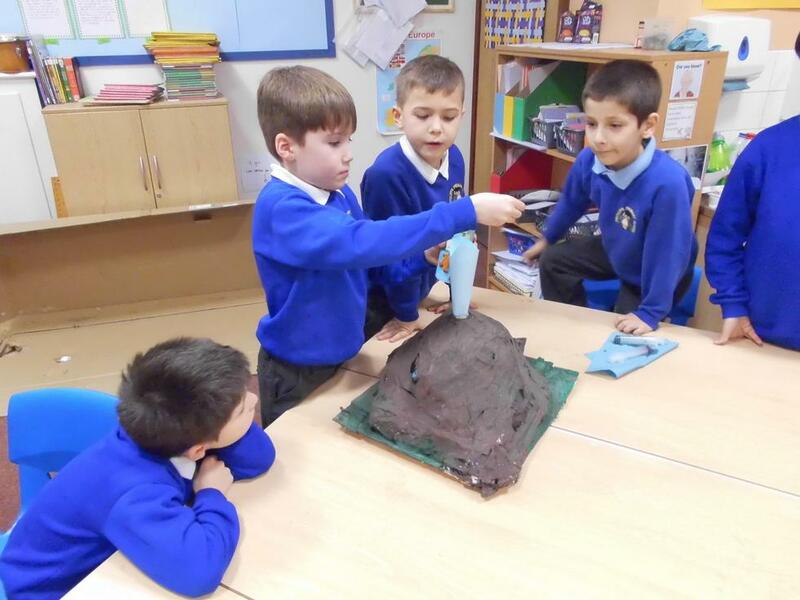 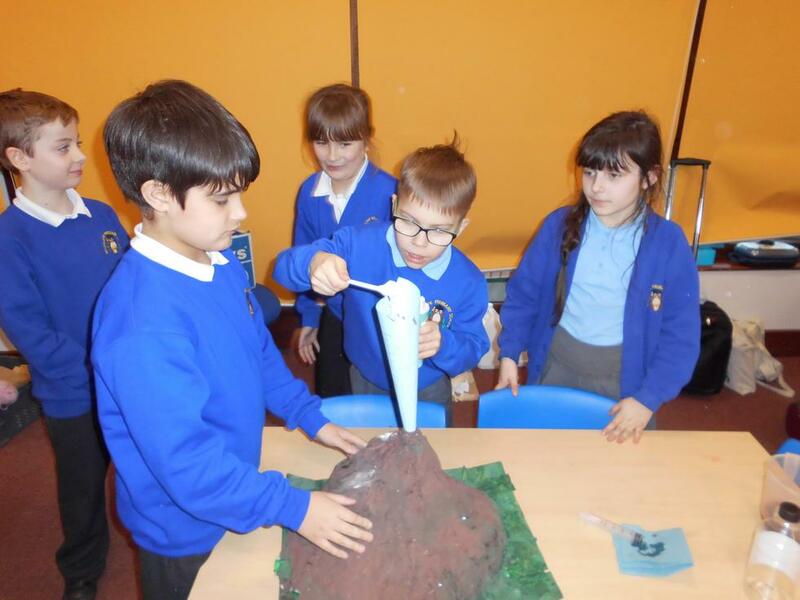 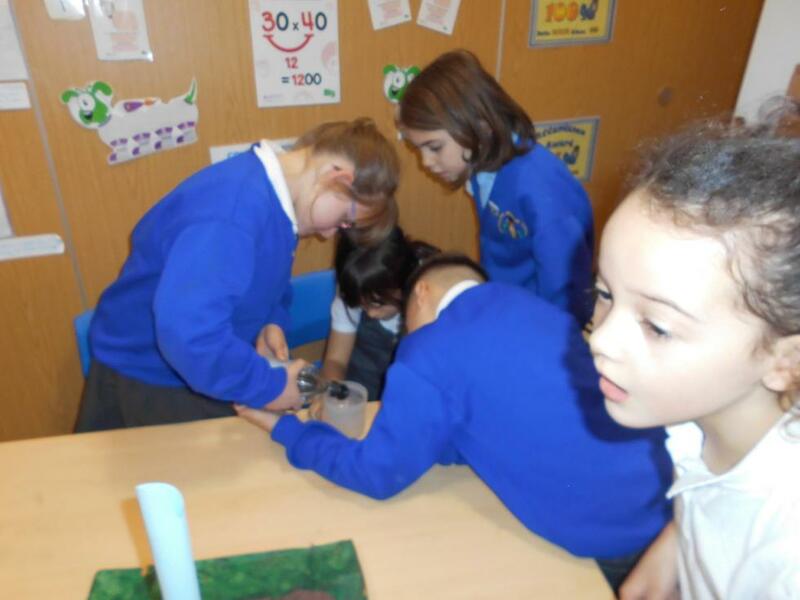 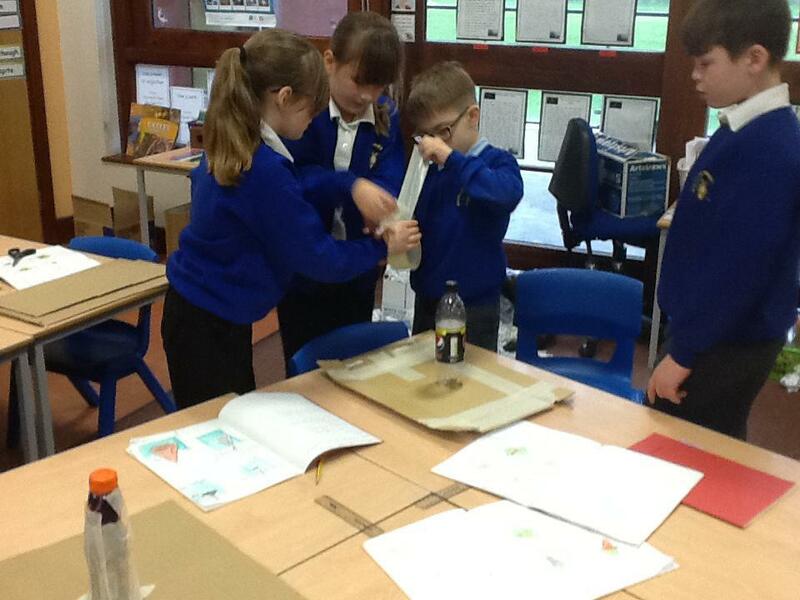 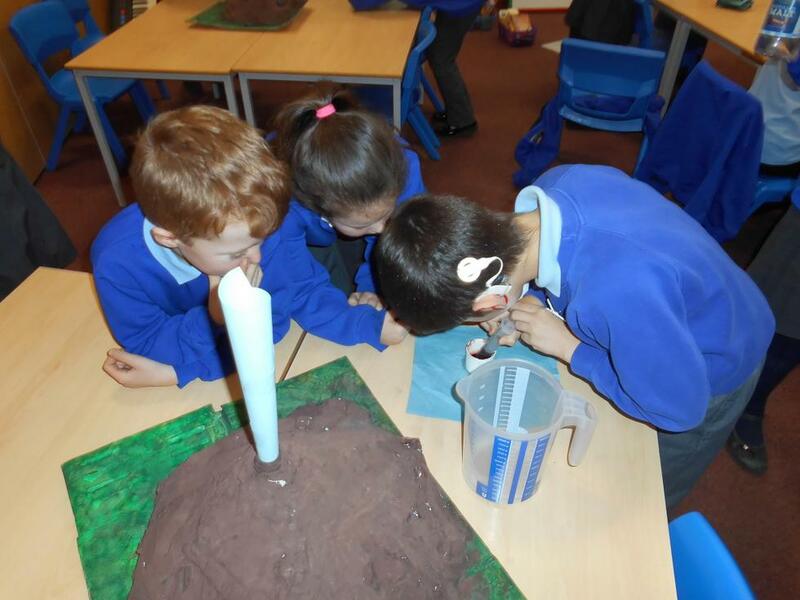 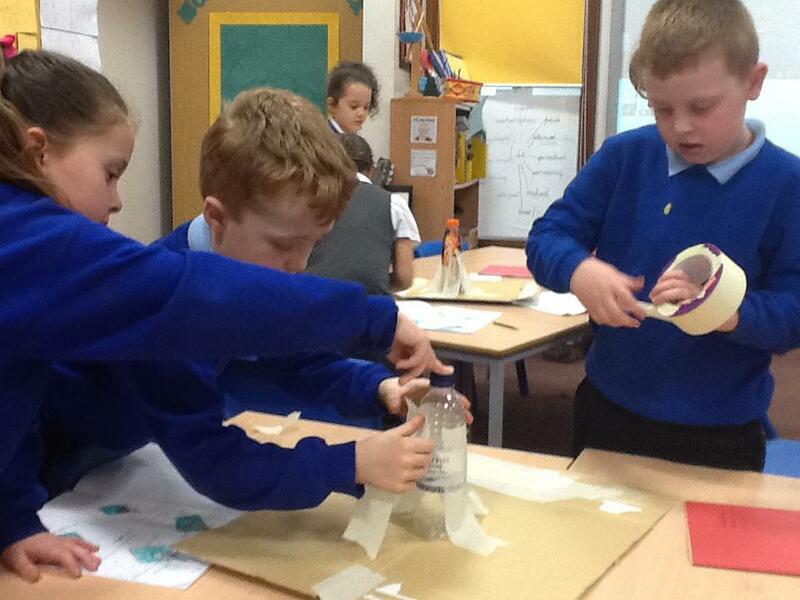 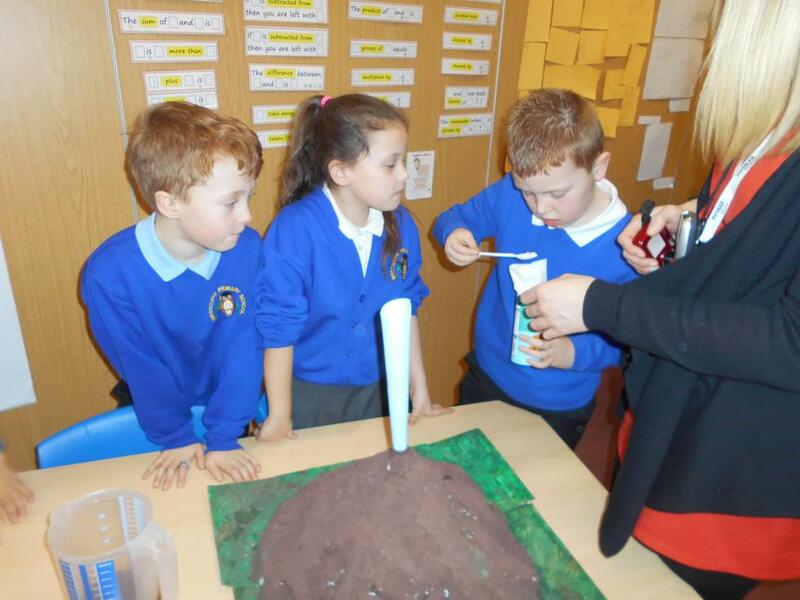 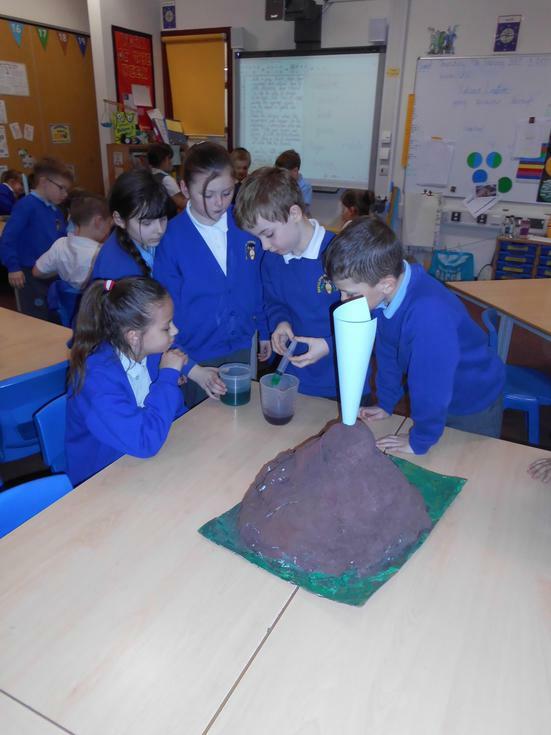 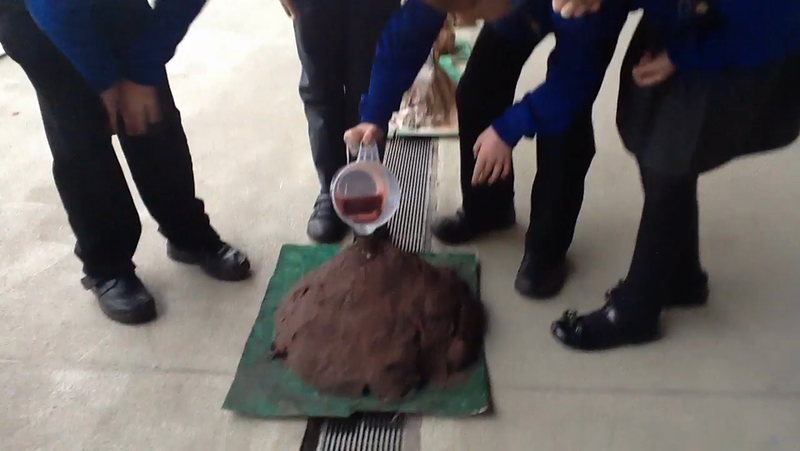 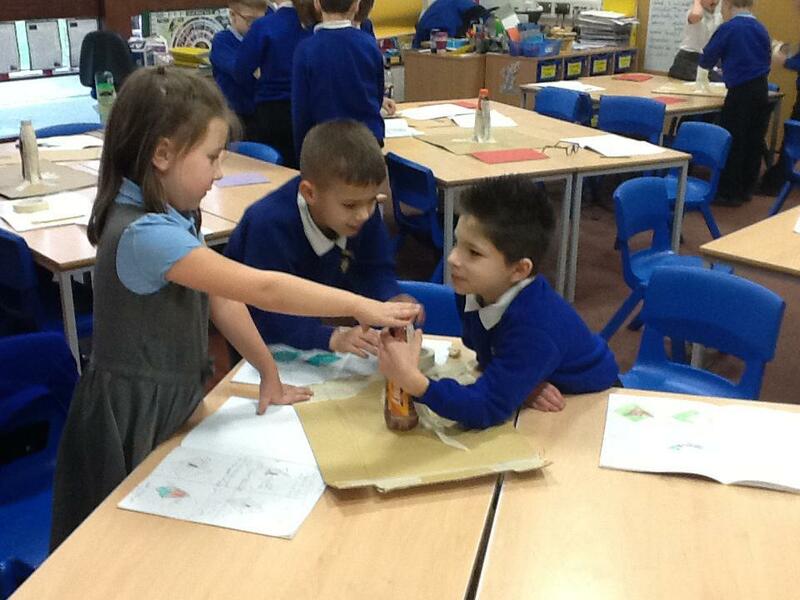 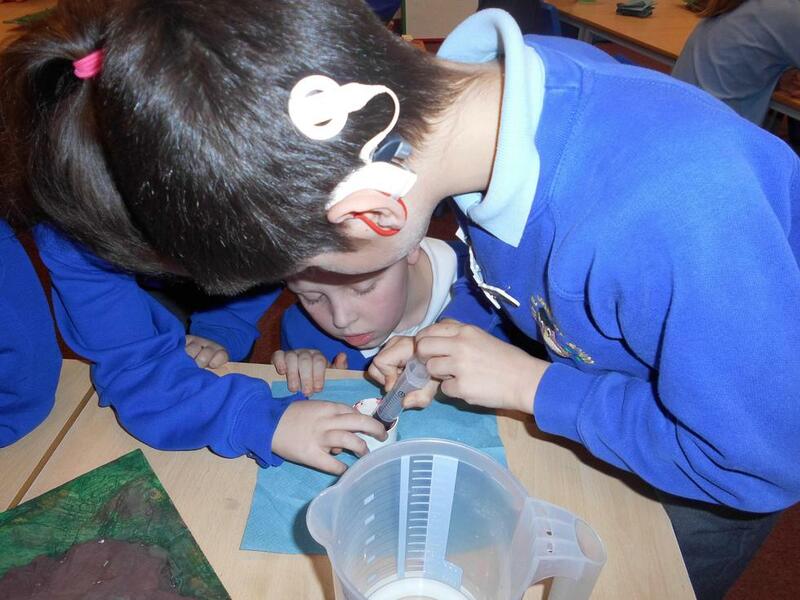 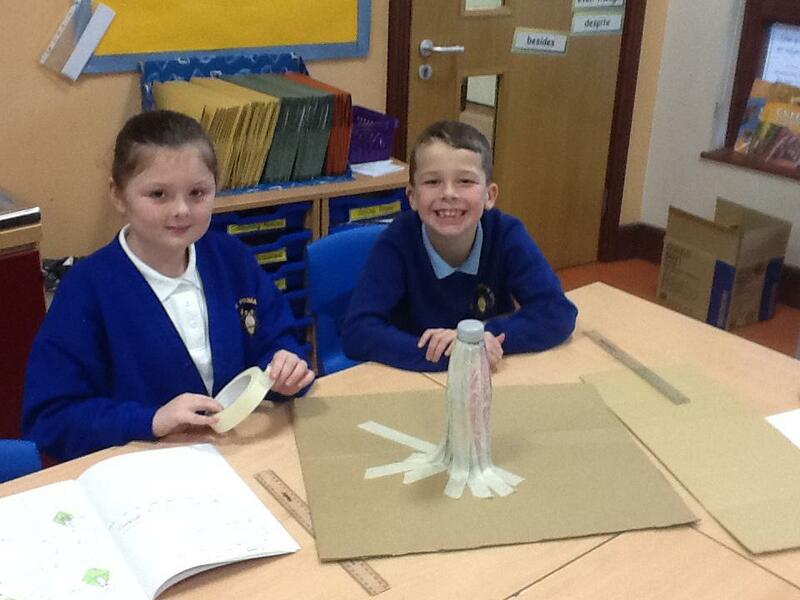 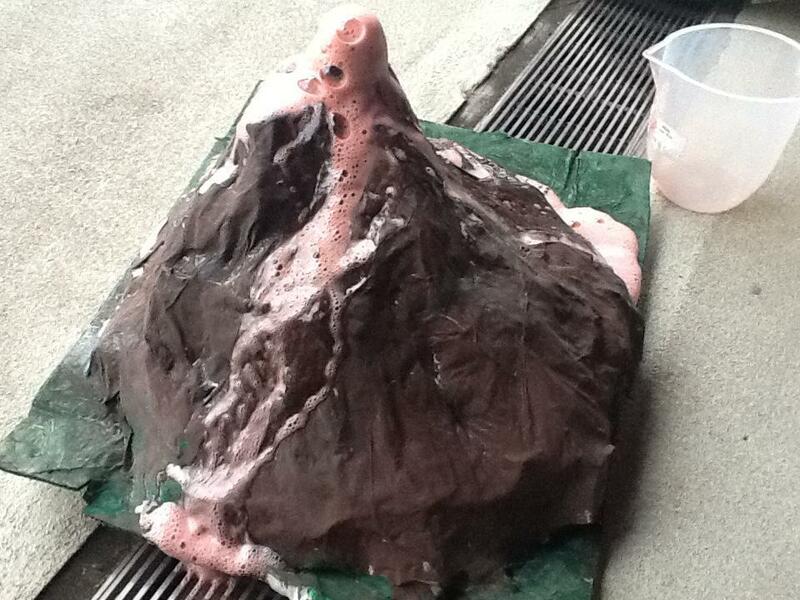 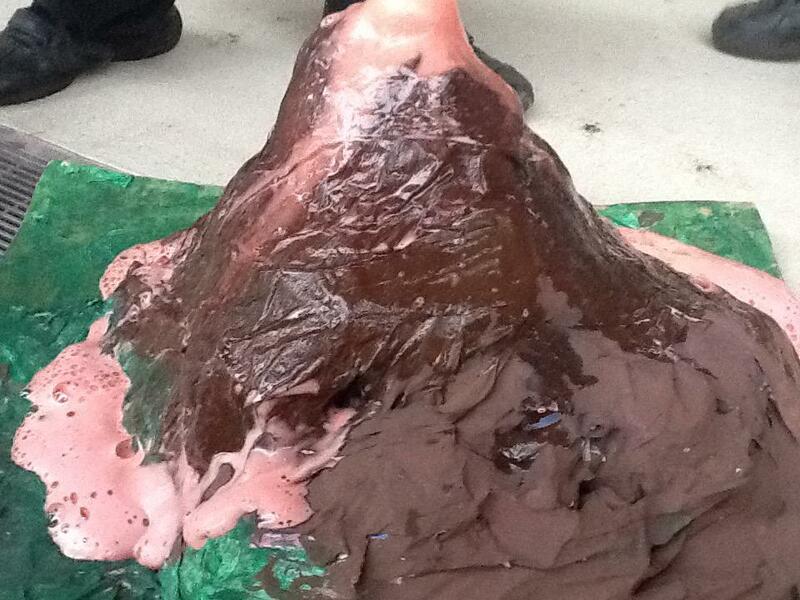 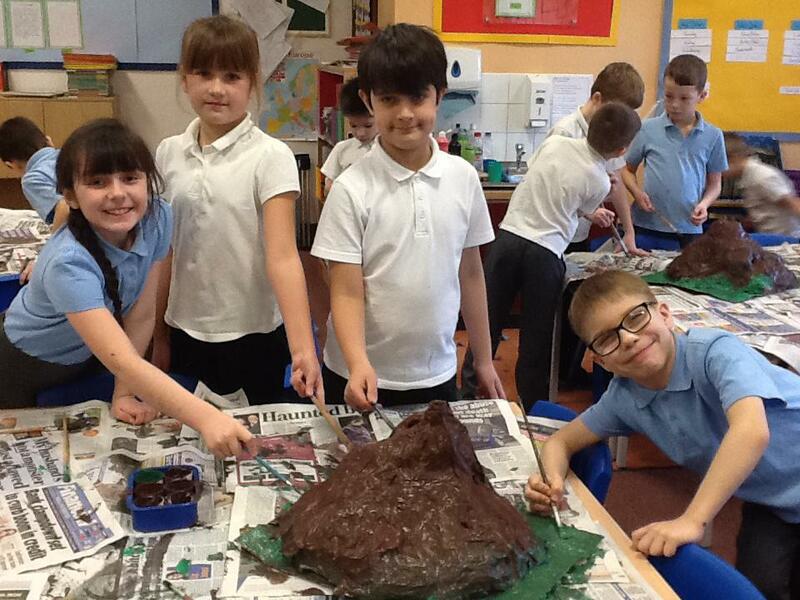 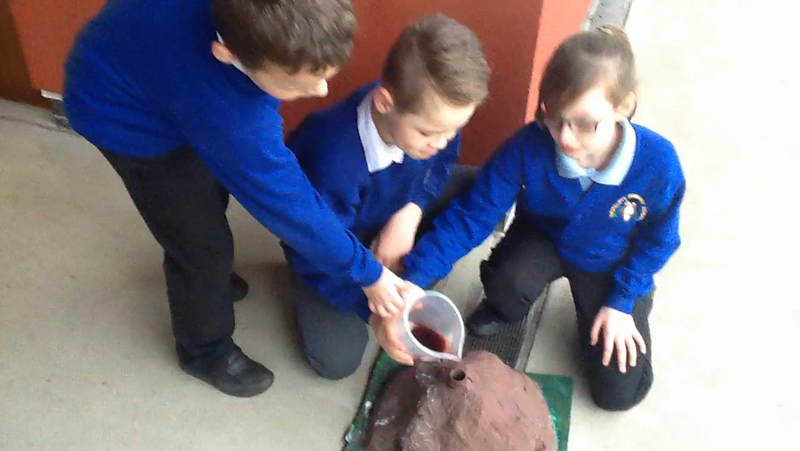 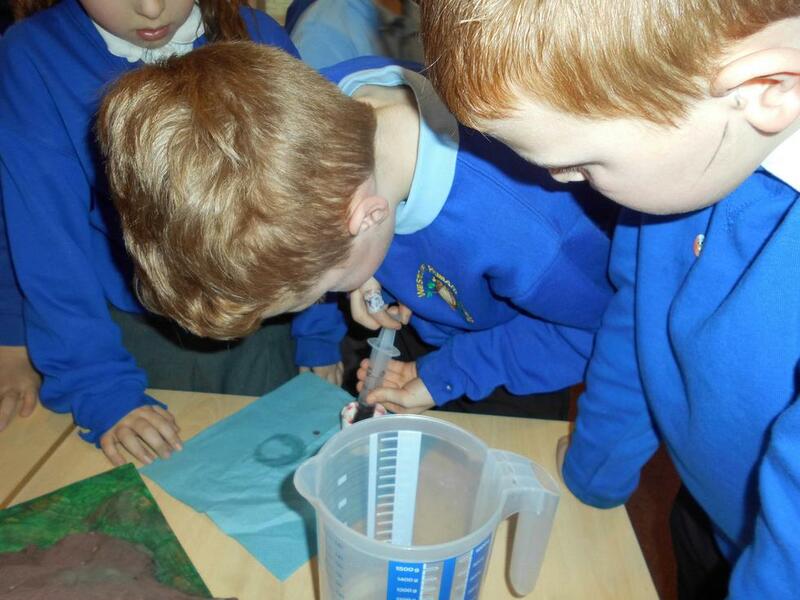 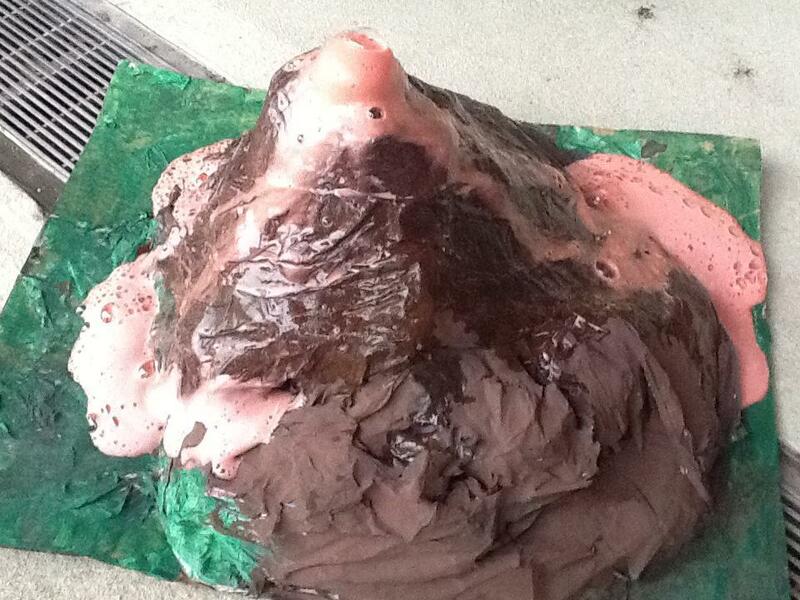 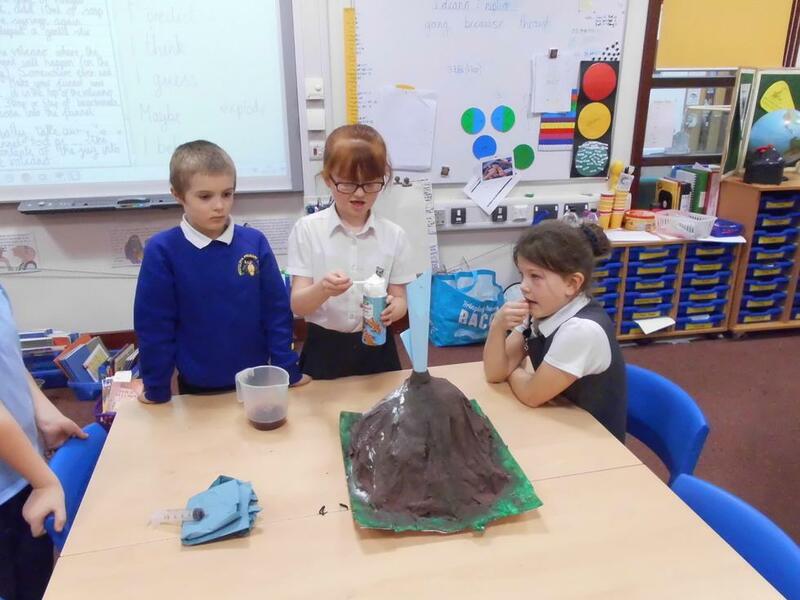 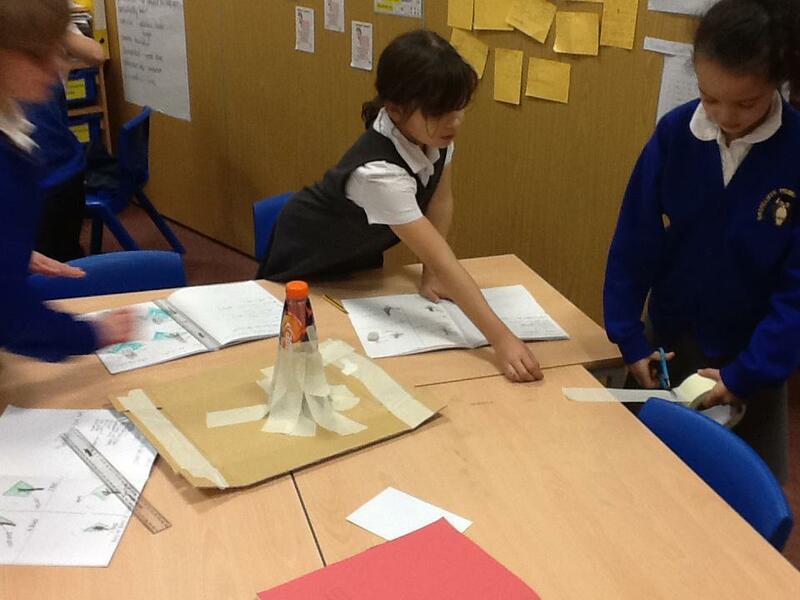 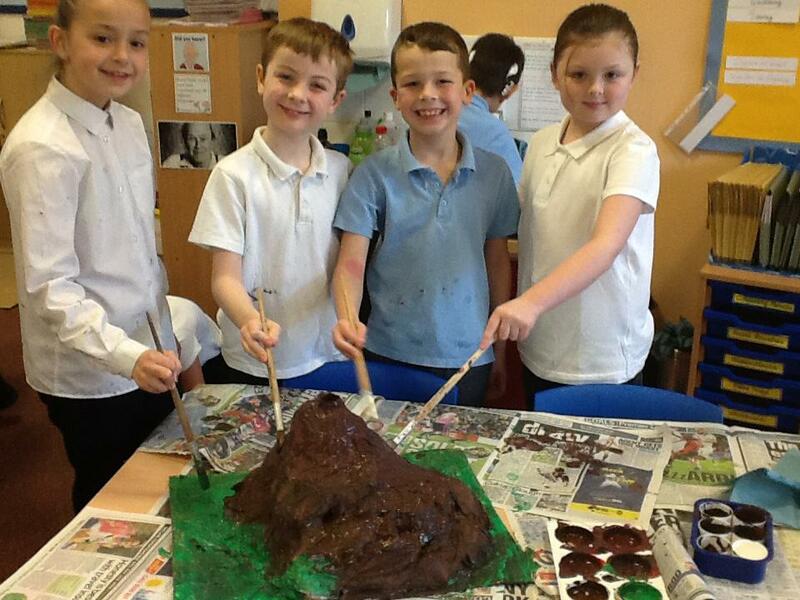 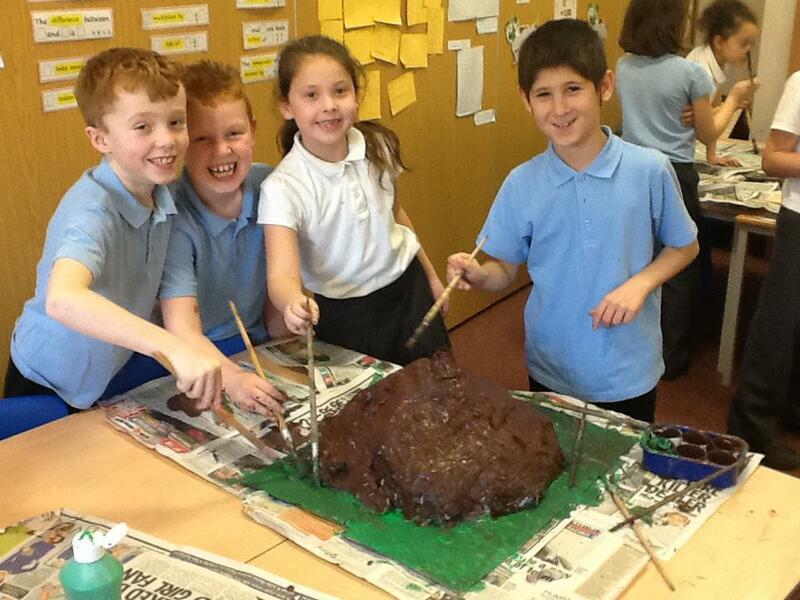 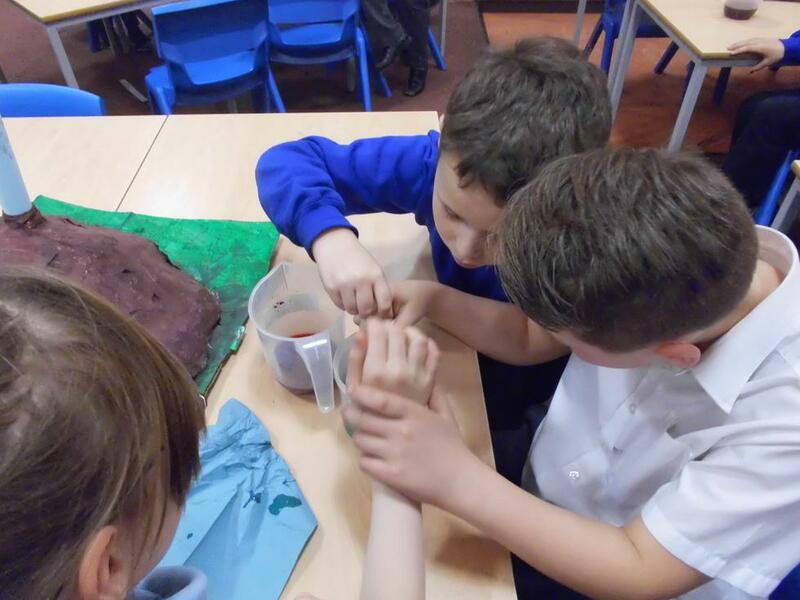 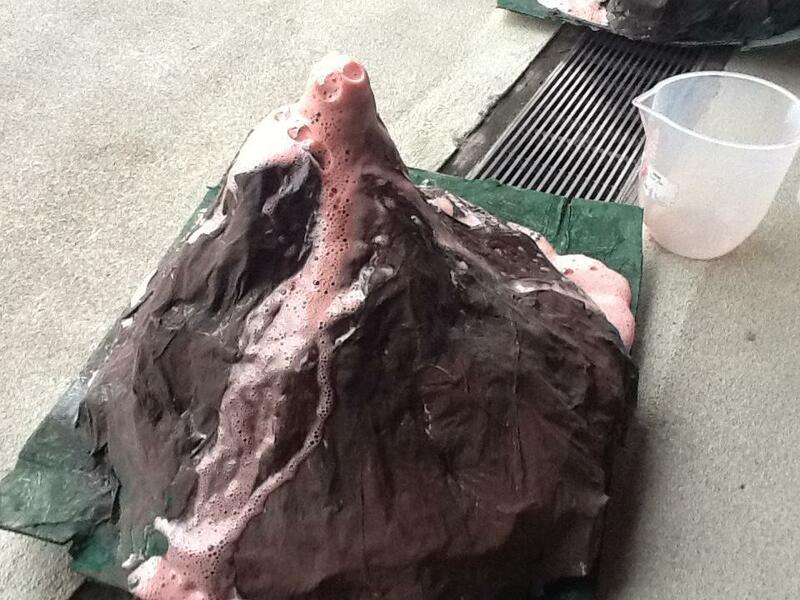 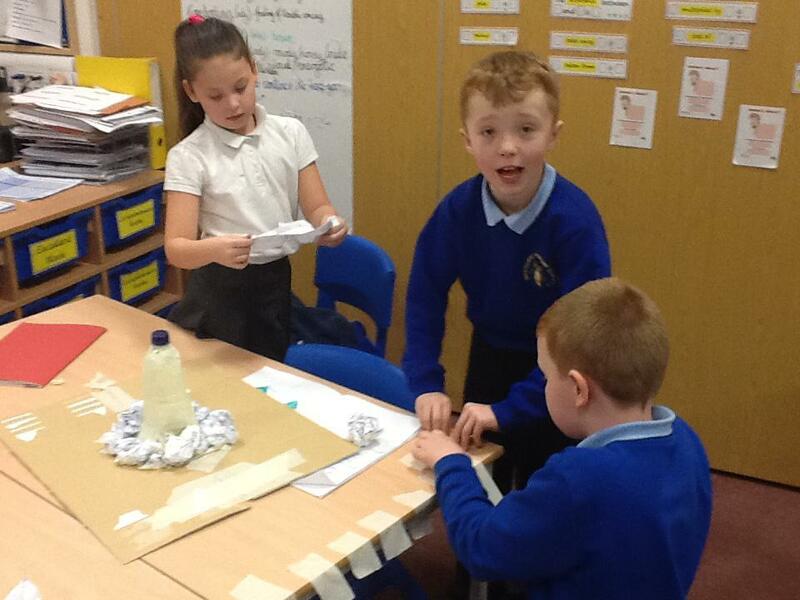 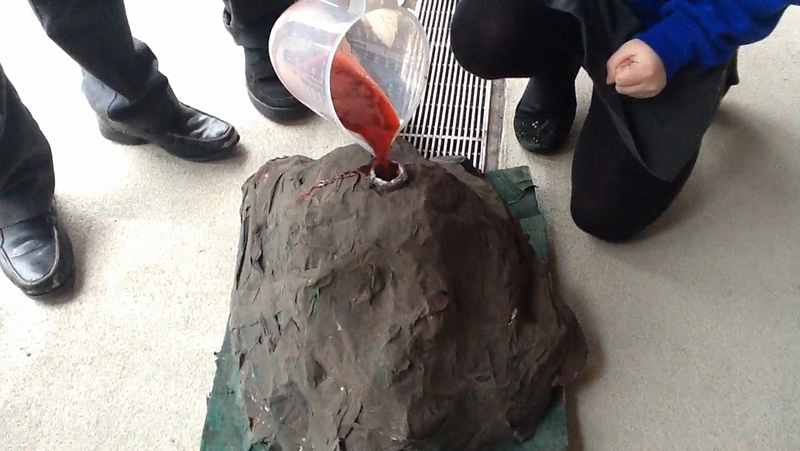 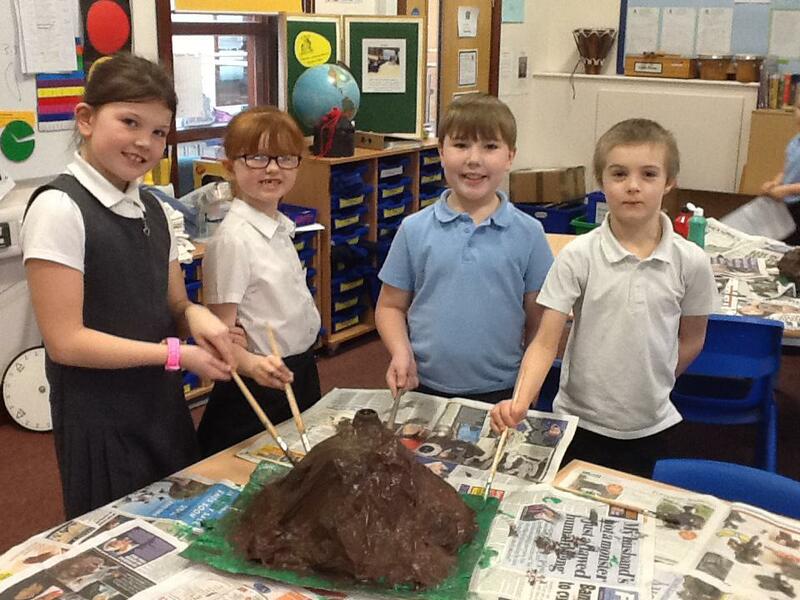 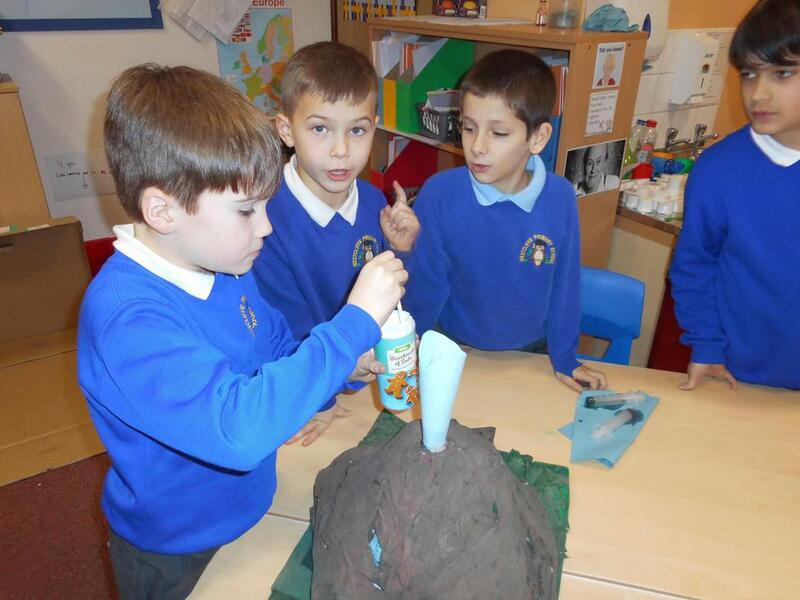 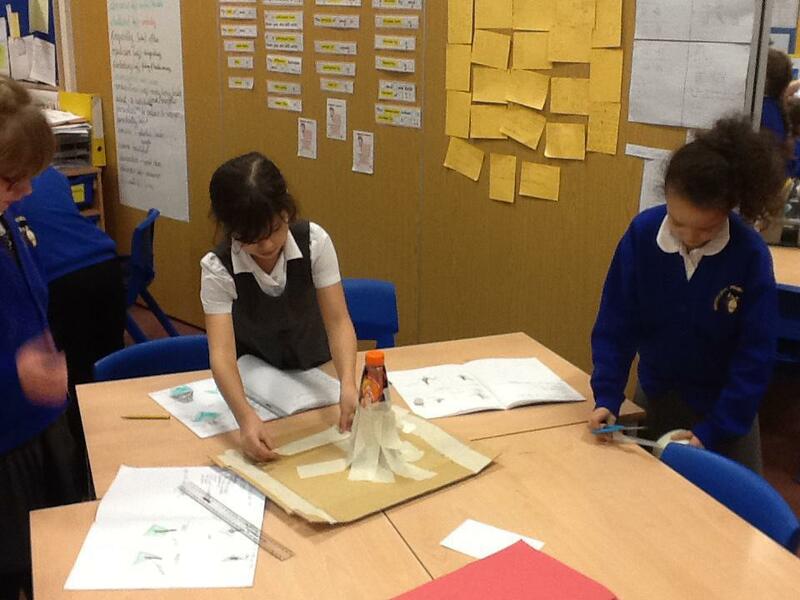 Inspired by our class reading book, we have been researching and investigating volcanoes in Science. 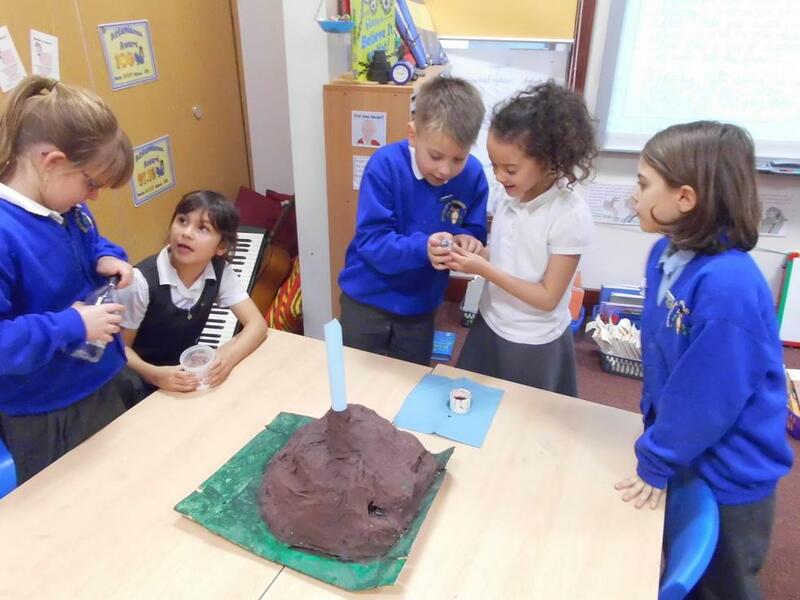 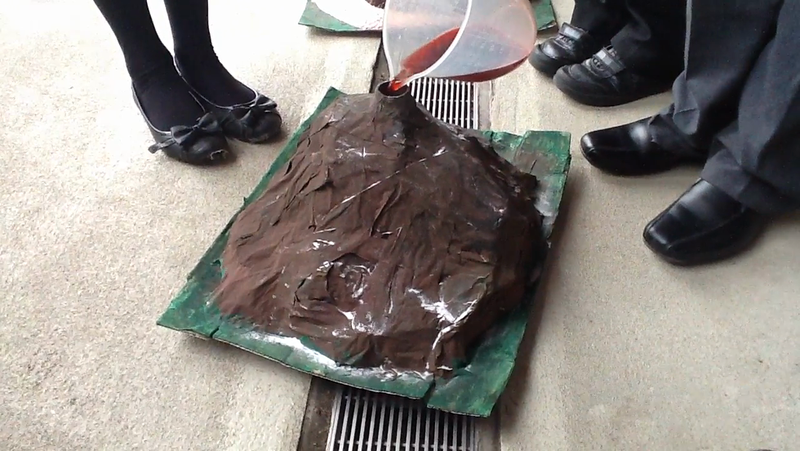 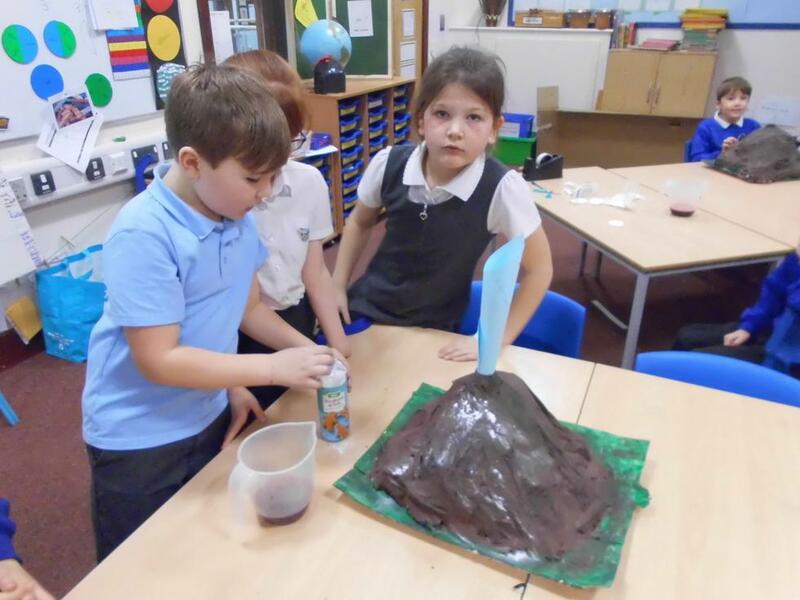 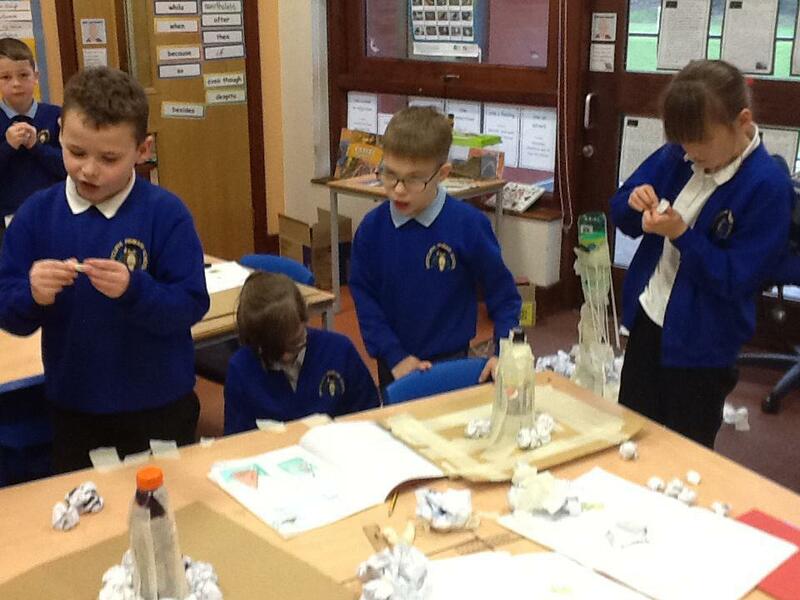 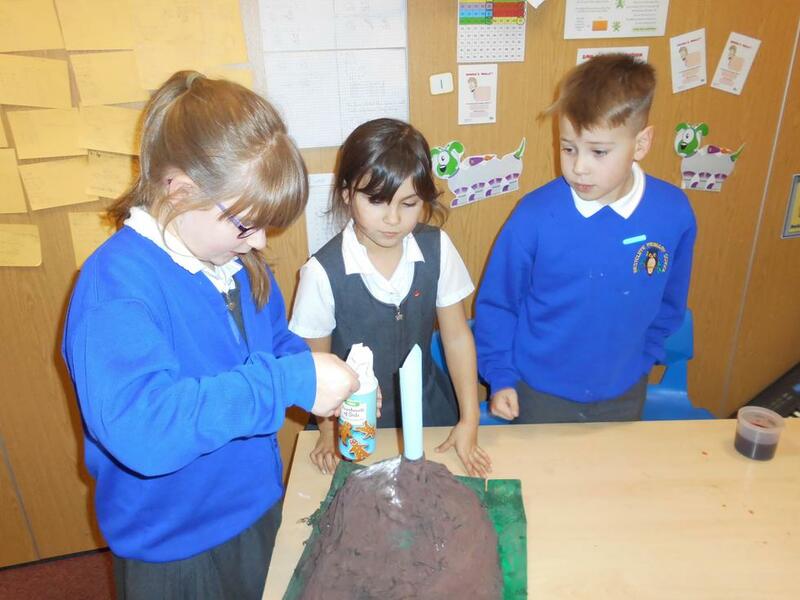 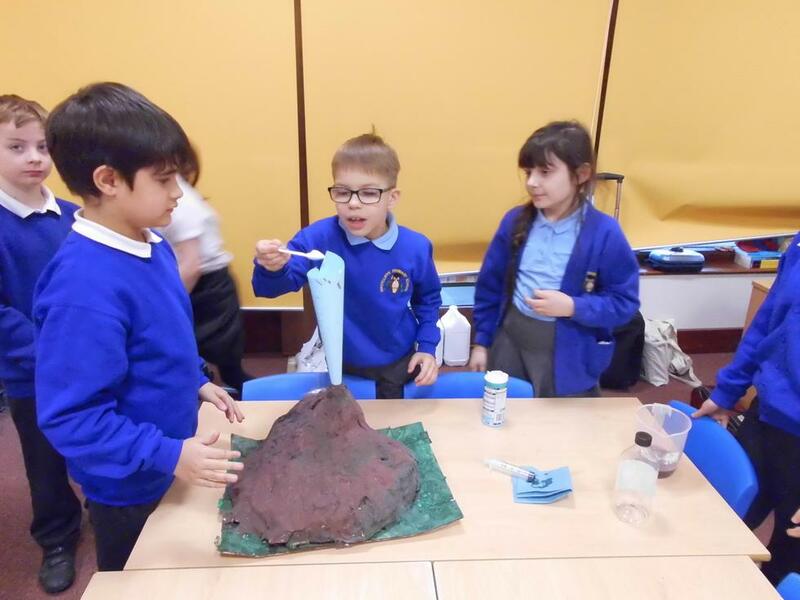 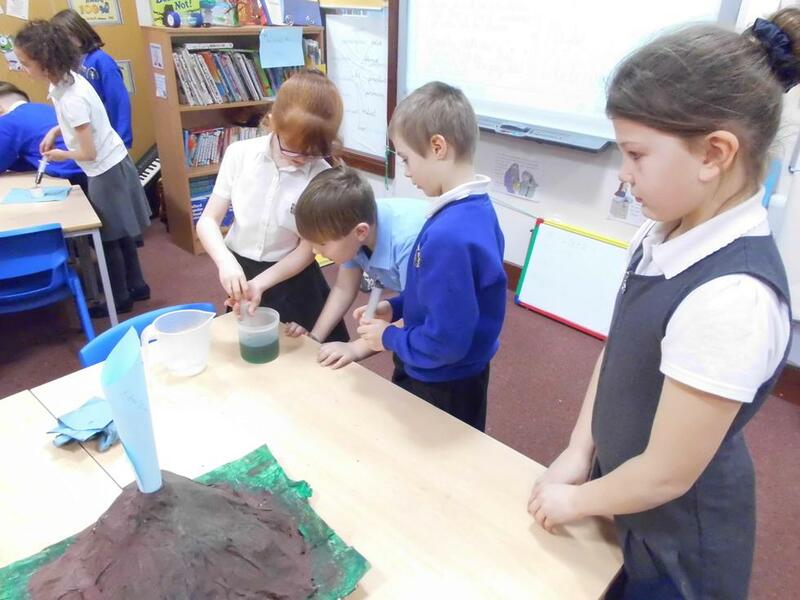 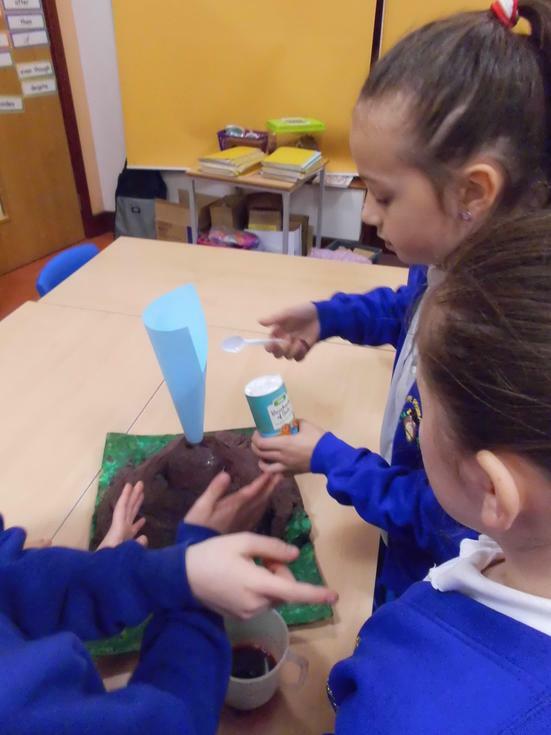 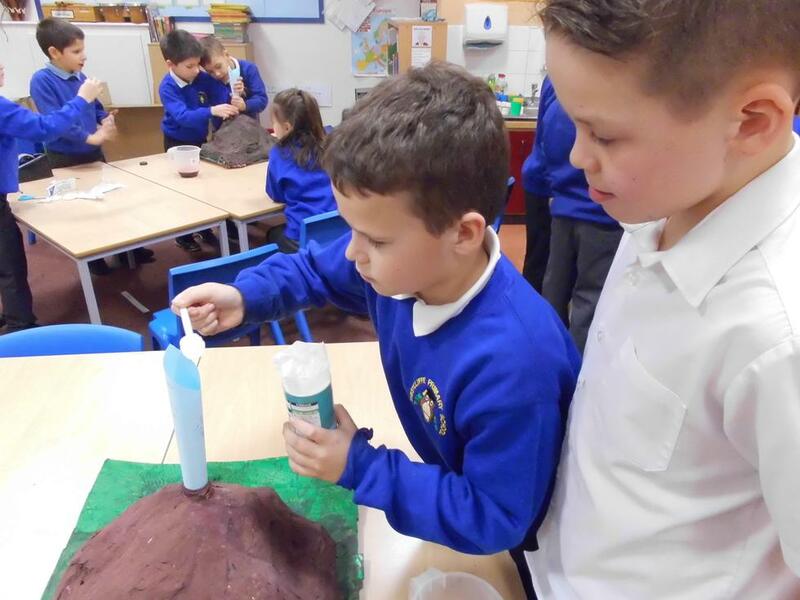 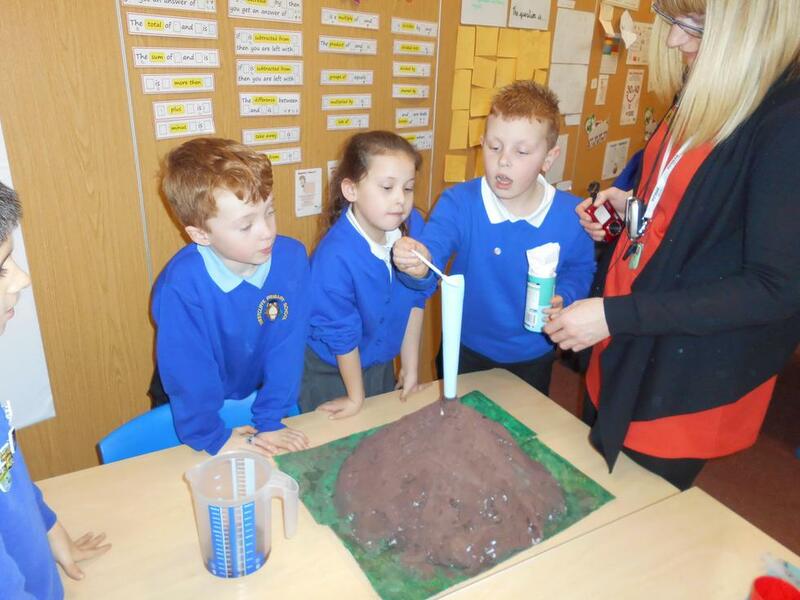 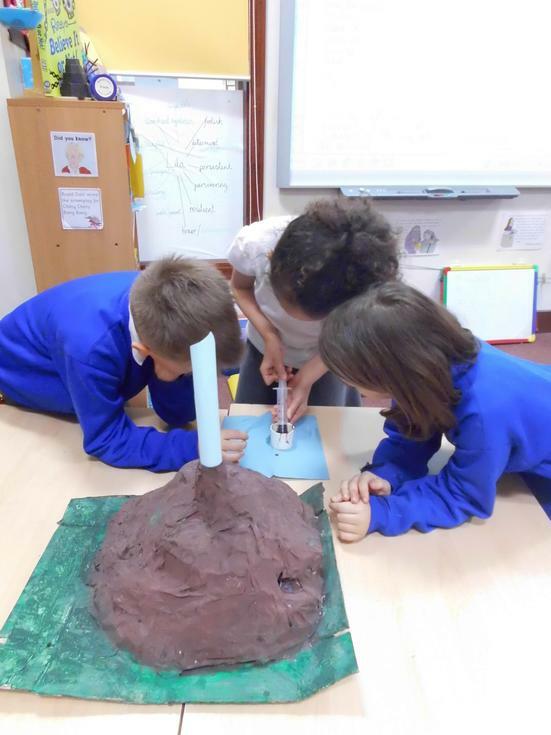 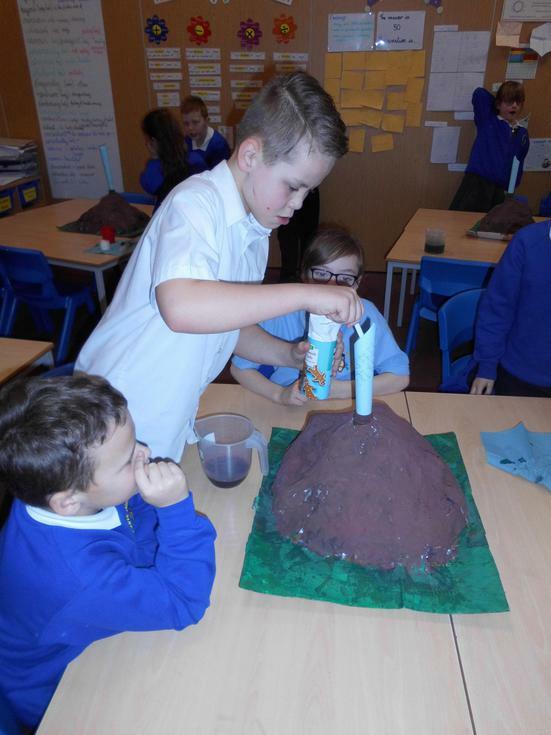 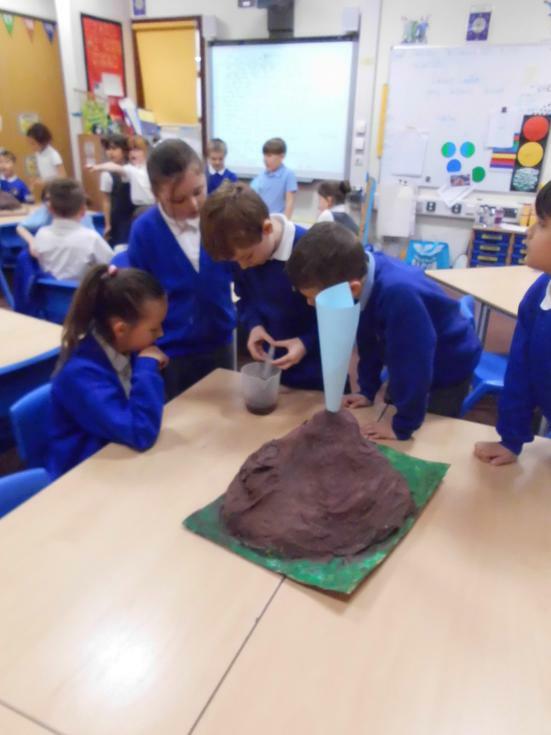 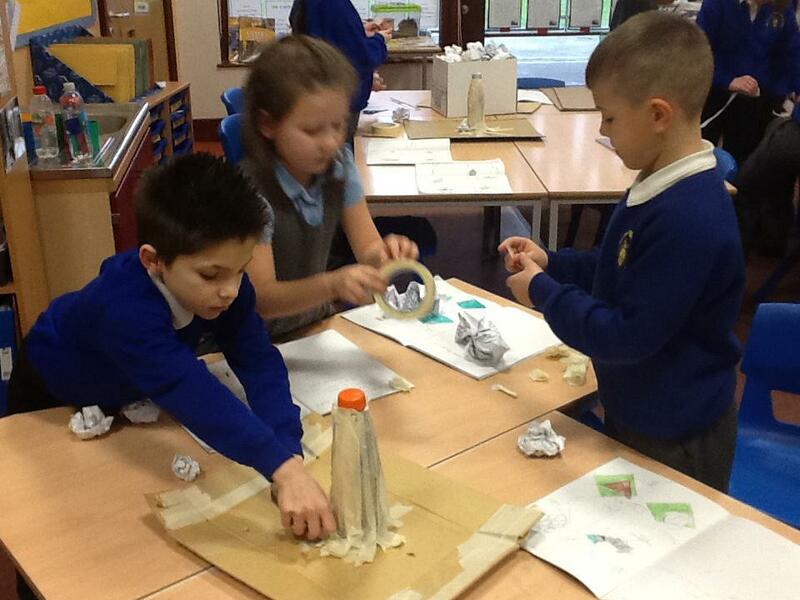 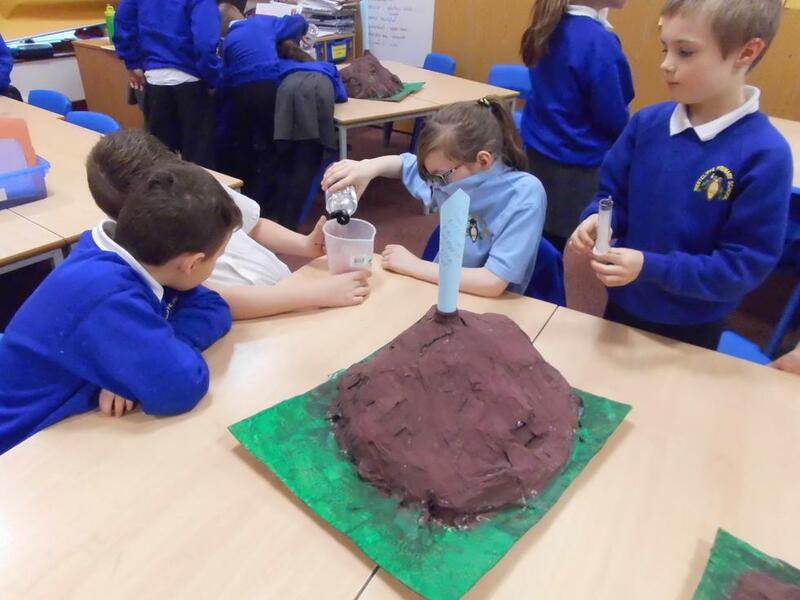 Once we had learned about the different types of volcanoes we wanted to build our very own models of Indonesia’s Mount Merapi (the volcano featured in The Firework Maker’s Daughter) in D.T. 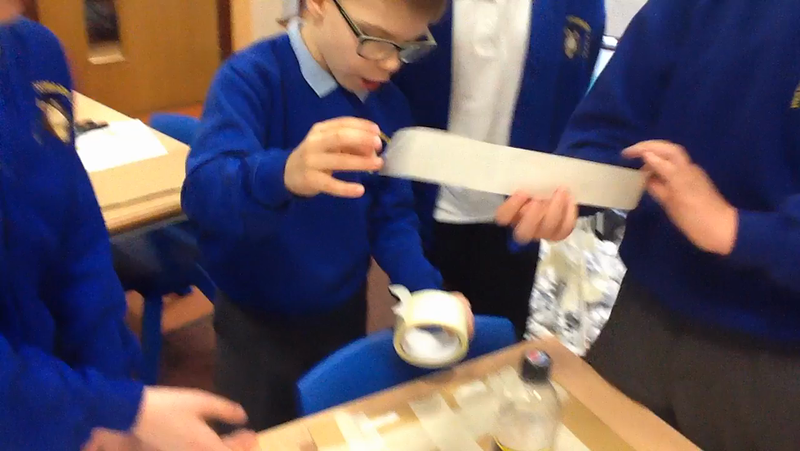 Step 1 - tape a water bottle to a large piece of card. 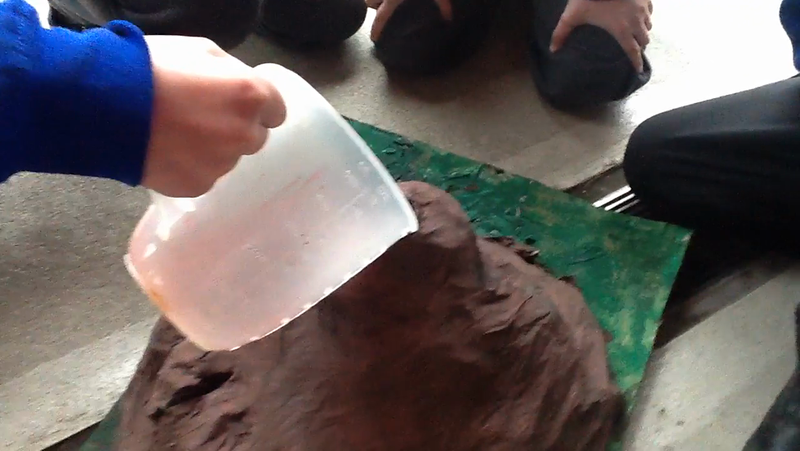 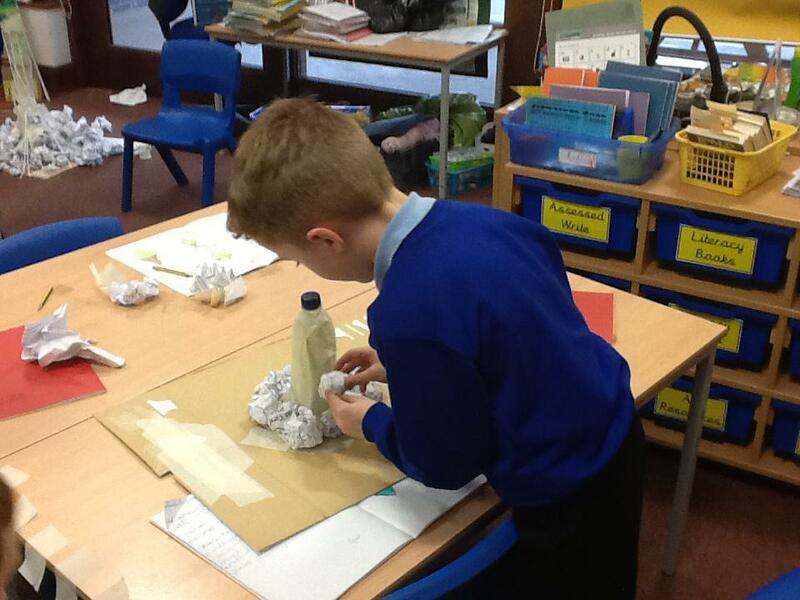 Step 2 - attach 3-5 layers of balled up paper, around the bottle, to create the mountain side. 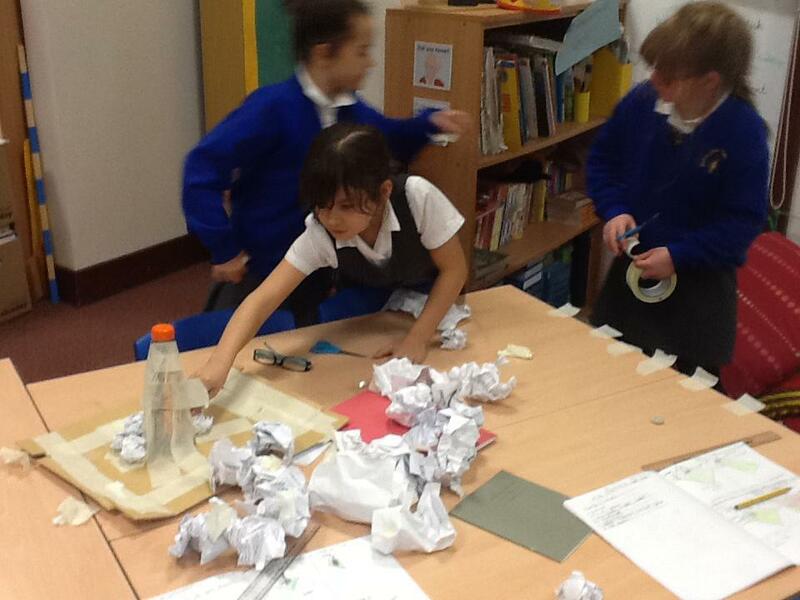 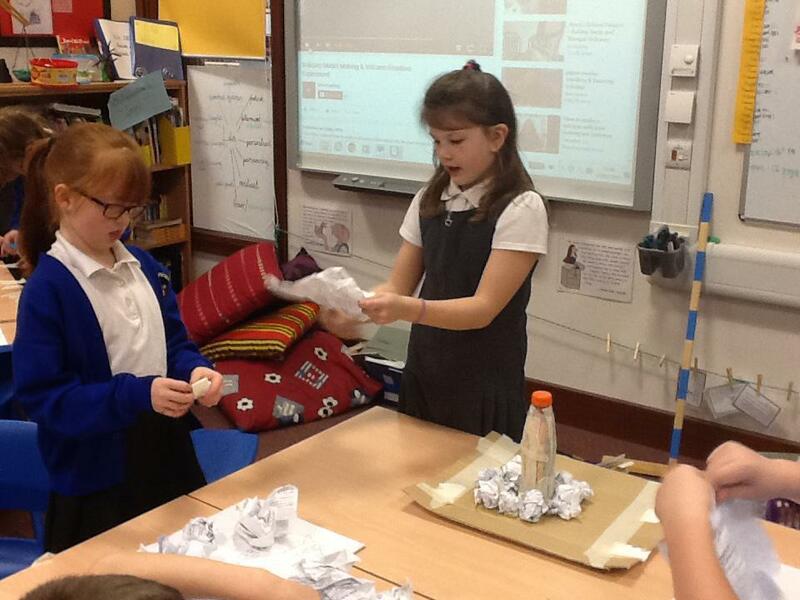 Step 3 - carefully lay papier-mâché over the balls of paper. 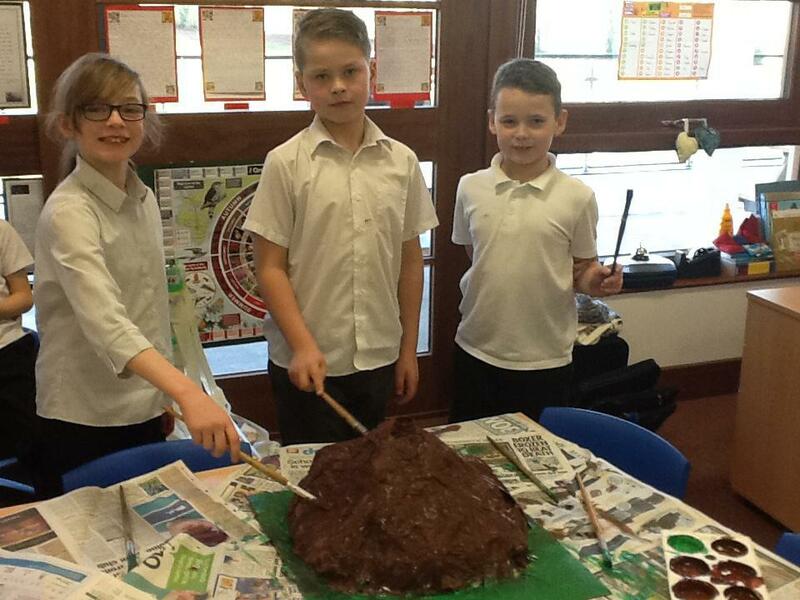 Step 4 - paint the dried papier-mâché. 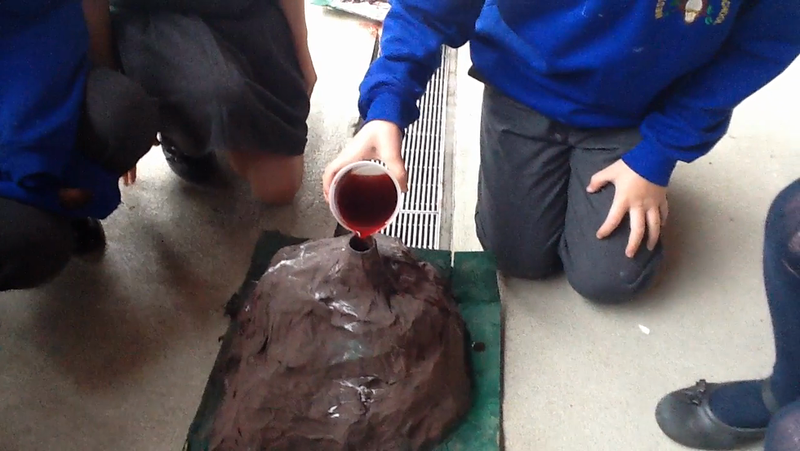 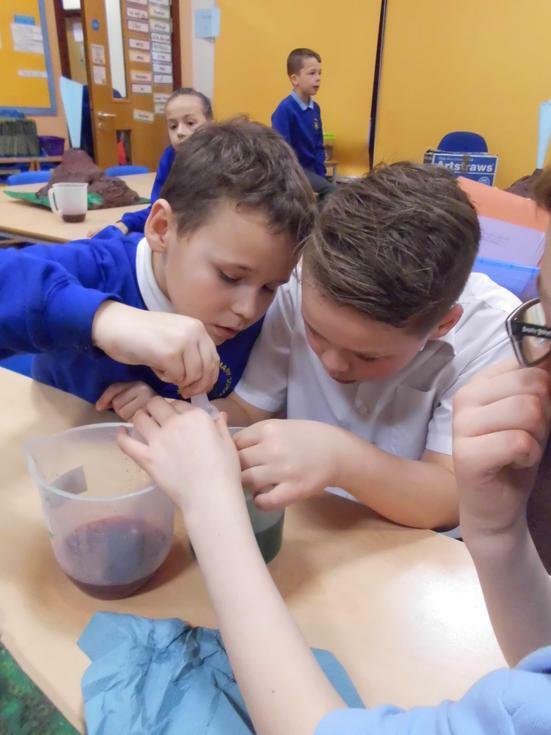 Finally, once the paint was dry, we used our science lesson to write up our Eruption Experiment (including ingredients, method and prediction). 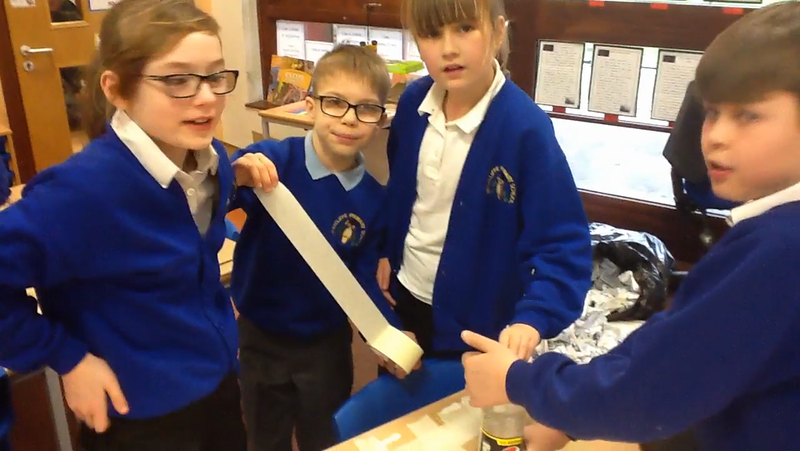 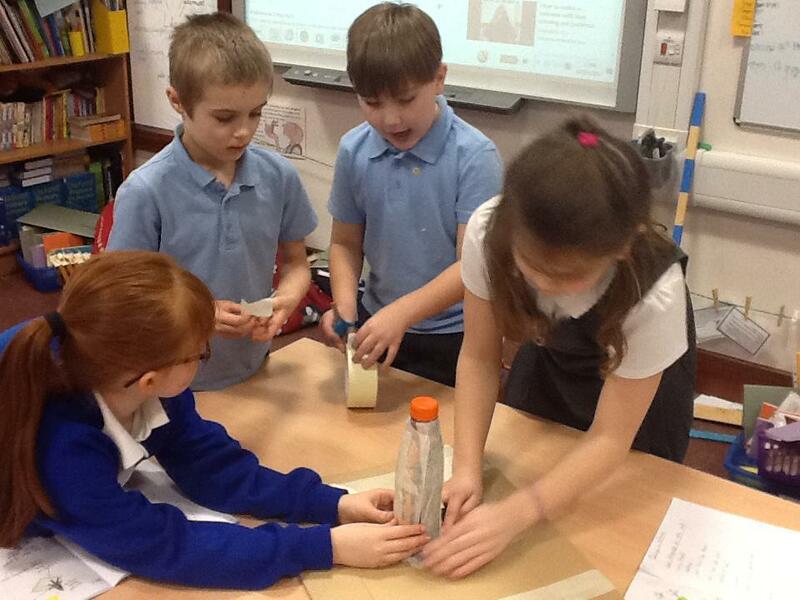 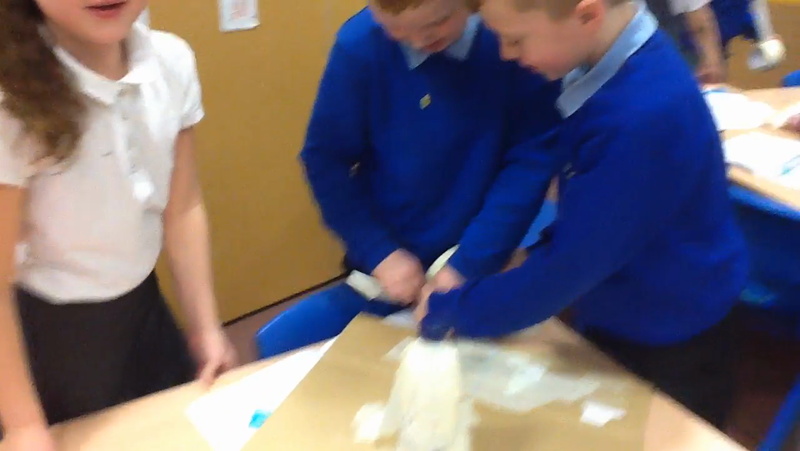 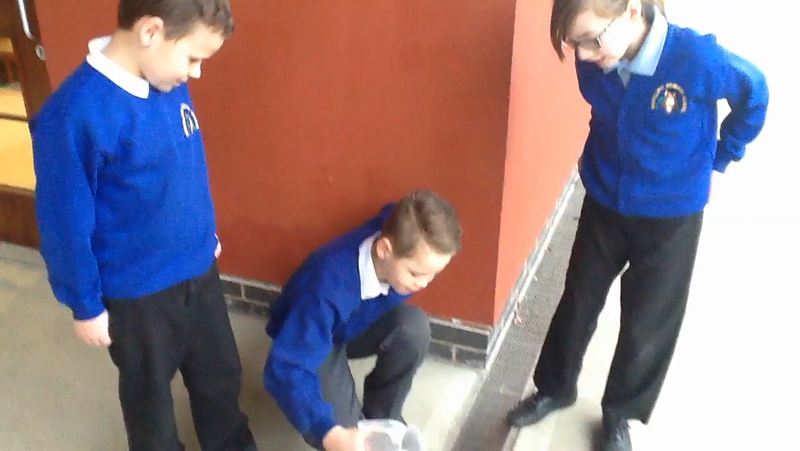 Everyone was extremely excited about how the experiment would go! 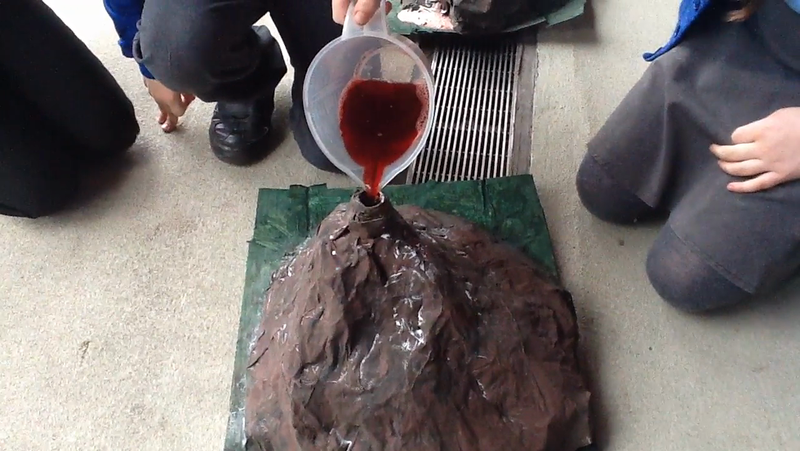 Check out our videos to see our results!